What a tune, its all about the organ rift, absolutely awesome, simple but oh so effective.The rift keeps driving with the percussion etc changing to keep it interesting. For me ts all about the dub mix. Head to the instrumental, this is the track everyone used to play out back in the day. Lovely break and lopping synth, high as a kite lovely. 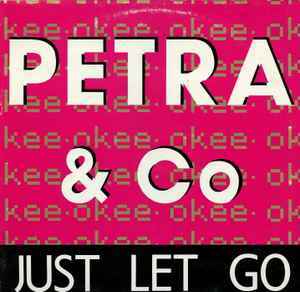 Not what you would expect from Petra but track B1 "Just Let Go (Dubs") is a fat early house track akin towards Inner City but with a heavier beat to it. One of the silliest house-records ever made, but it did introduce house music to a lot of Belgian and Dutch teenagers, mostly due to the dutch version "Laat je gaan" on the b-side. Was also released as :" Laat je gaan", witch means Let go. This was the dutch version.